The international economic group that oversees a global anti-bribery convention says it's monitoring allegations that Prime Minister Justin Trudeau interfered in a criminal prosecution against SNC-Lavalin. 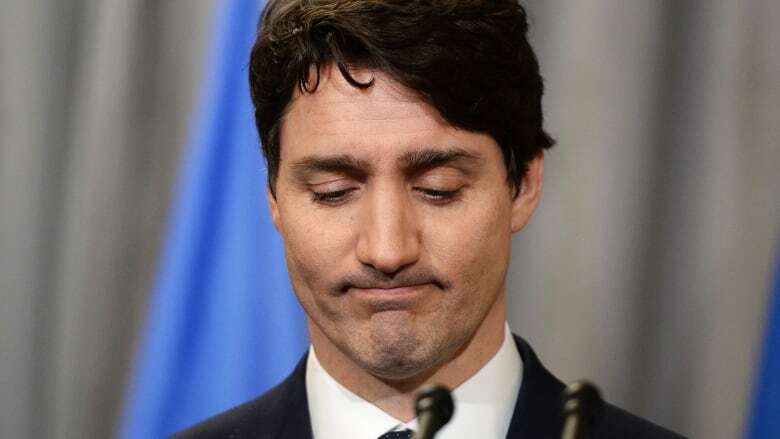 The international economic group that oversees a global anti-bribery convention is monitoring allegations that Prime Minister Justin Trudeau interfered in a criminal prosecution against SNC-Lavalin. Canada is one of 44 nations that in 1999 signed the legally binding Anti-Bribery Convention, which established international standards to criminalize the bribery of foreign officials. The idea was that all signatories — including all 36 OECD nations as well as eight others, such as Russia and Brazil — would punish their own citizens and companies for trying to undermine governments elsewhere. The working group is tasked with monitoring the implementation and enforcement of the convention. It wrote to the Prime Minister's Office to express its concerns about the SNC-Lavalin matter and says it is keeping a close eye on investigations by the House of Commons justice committee and the federal ethics commissioner. It says Canada has pledged to update the group on the matter at the working group's June meeting. The statement says Canada's commitment under the convention is to "prosecutorial independence in foreign bribery cases" and that political factors — such as national economic interests and the identities of the company or individuals involved — should have no influence on the prosecution. Adam Austen, a spokesman for Foreign Affairs Minister Chrystia Freeland, said Canada "firmly supports" the OECD and noted Canada was a founding country in the Anti-Bribery Convention. "We acknowledge the concerns raised today by the OECD working group on bribery," he said in a written statement. "We will continue to work with and update the working group on the robust and independent domestic processes currently underway in Canada, which the working group has recognized and encouraged." Last year, the Liberals introduced a new law to allow the director of public prosecutions to use what are known internationally as deferred-prosecution agreements (DPAs). These agreements shelve a criminal prosecution of a company in exchange for the company admitting wrongdoing, paying fines, giving up any money it earned in the commission of the crime it is accused of and agreeing to be monitored for a period of time. If the company fulfils the terms of the agreement, the criminal penalties can be dropped. If the company fails to keep its end of the bargain, the charges can still go forward. Last fall, the director of public prosecutions in Canada decided SNC-Lavalin was not eligible for a remediation agreement. Wilson-Raybould, then the attorney general, decided not to use her authority to overrule that decision. Wilson-Raybould said that after that, multiple people from Trudeau's office, the finance minister's office and the Privy Council Office all put sustained, improper pressure on her to change her mind. She said that when she wouldn't do so, she was shuffled out as minister of justice and attorney general to the lower-profile job of minister of veterans affairs. She ultimately resigned from cabinet entirely a few days after the Globe and Mail newspaper first reported on the allegations. Treasury Board President Jane Philpott resigned from cabinet last week, citing a lack of confidence in how Trudeau had handled the matter. Trudeau's principal secretary, Gerald Butts, resigned his own post Feb. 18. He said last week he resigned not because he had done anything wrong, but because he felt if he stayed on after Wilson-Raybould resigned it would look as though Trudeau was choosing him, a longtime friend, over a minister. Trudeau and his staff deny anything improper occurred, saying they only wanted to make sure Wilson-Raybould had information about the potential effect a prosecution and conviction could have on SNC-Lavalin's viability and wanted her to seek an outside expert opinion on remediation agreements — a brand-new tool in Canada's criminal law. Last week, Trudeau blamed the problem on a breakdown in trust between Wilson-Raybould and his office and committed to hiring outside experts to advise the government on interactions between political and public service staff on justice files.